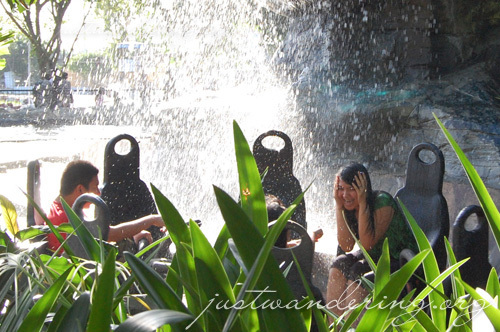 Enchanted Kingdom invited us once more last weekend to try out their latest offerings: Cenakulo Rock, SRR:X, and Journey to the Center of the Earth in 4D. 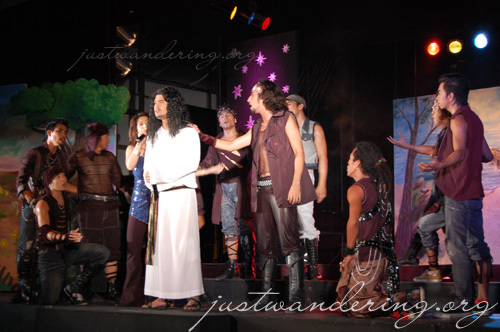 Cenakulo Rock is EK’s show this Lent, that “allows guests to reflect while having fun.” It’s basically a condensed version of the musical Jesus Christ Superstar starring Roselle Nava, Jao Mapa and Enchanted Kingdom’s own pool of talents. SRR:X, short of Shake, Rattle and Roll Extreme is their version of the usual haunted house ride. Though instead of riding, you’d have to walk through the attraction. I don’t really know what it’s like inside (I was too chicken to go inside o_o ), but Eric, Rotch and Rael seem to have enjoyed it. They told me there was a section there where you’d have to walk through a vortex-like path. Huh. My favorite ride: Rio Grande Rapid. Be prepared to get WET! I haven’t tried Enchanted Kingdom’s 4D before, but I’m so glad to have finally get the chance to try it. The movie Journey to the Center of the Earth starring Brendan Fraser is a great choice for this sensory overload ride. The theater can only accommodate around 30 person at a time, so it’s best to buy a ticket for the shows beforehand. 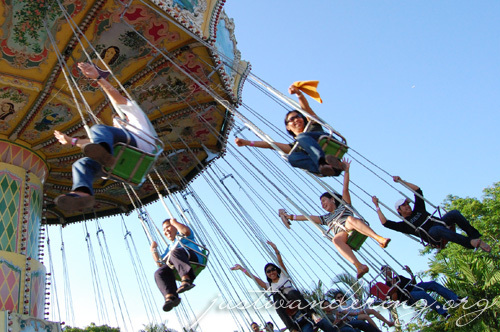 Tickets costs Php 60 for guests with Day Pass tickets, and Php 100 for guests with Carousel Special tickets. 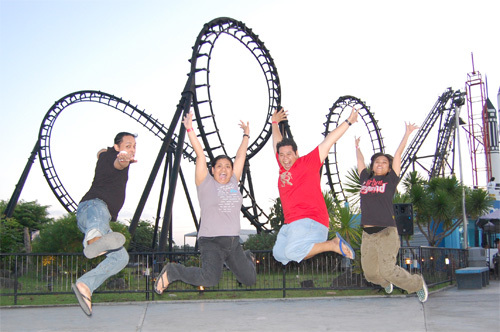 EK has a long line of activities this summer, that even guests who don’t like going on theme park rides can enjoy. There will be celebrity storytellers every weekend all through April and May, as well as live bands. There’s also a mini-bazaar at the Midway Boardwalk, with several booths selling the latest trends and fashion. Guests can also look forward to the Enchanté Summer Musicale featuring GMA 7 talents, a summer fashion show on May 16 featuring the creations of Junjun Cambe, and a Flores de Mayo on May 30. The park is open daily this summer until June 7, from 2pm to 9pm on weekdays, and 11am to 9pm on weekends. It will be closed on Maudy Thursday (April 9) and Good Friday (April 11). The park will also be closed on May 4 for a private function. Once again, thanks to Enchanted Kingdom for a fun-filled Sunday! 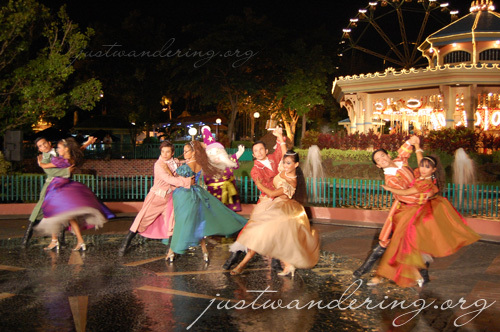 Honestly, I’ve never been to Enchanted Kingdom. Such a loser. LOL. Nice shots by the way.